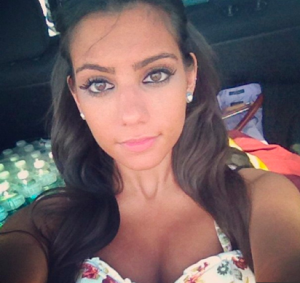 SLEEPY HOLLOW — The funeral for 21-year-old Andrea Rebello today was an experience no parent ever wants to go through. The Hofstra University junior is dead not because she was murdered by some random killer; not because of a drug overdose; and not because of health issues. This woman is dead because her sister called for help from people many Americans still believe are here to protect and serve. It was early last Friday, May 17 when Ms. Rebello returned to her Uniondale home after a night of drinking with friends to celebrate the end of the school year. An armed intruder entered the home around 2:20 a.m. through the front door which Ms. Rebello left open. Mr. John Kourtessis, one of the friends who returned to Ms. Rebello’s home with her, told the New York Post that the intruder kept saying something to the effect of “you guys owe the Russian guy money.” All the people (hostages) in the home, including Ms. Rebello’s twin sister Jessica, offered the intruder all the money and jewelry they had, and even their laptop computers, according to the University Herald. But the intruder was not satisfied and ordered Jessica to go to the ATM, get cash and return in eight minutes or he would kill everyone in the house. Jessica, instead and instinctively, called 911 and reported the burglary. A Nassau County cop, Nikolas Budimlic, arrived in mere minutes, and entered the home to the scene described above. *May 27, 2013 update: The only people who will ever really know the entire truth as to what happened in that home that night are the witnesses and those who knew the witnesses. We received an email from a Hofstra student (with a Hofstra email address, who wants to remain anonymous) today who says the alleged intruder, Dalton Smith, had been at that house “several” times before, and that the entire ordeal was a botched drug deal. Ms. Rebello’s death highlights the trigger-happy, blood-thirsty nature of U.S. police, and the total disregard for human life they exhibit. Michele Galietta, a John Jay College professor of psychology in the school’s criminal justice department, of course took the side of the killer, telling the International Business Times that Budimlic had to fire because he believed his life and Ms. Rebello’s were in danger. For the sake of argument, let’s just say that is true. Eight bullets were not necessary to end the situation. Virtually every cop in every police department in the USA uses hollow-point bullets; one of which (rather 9mm or .40 caliber) will kill just about anybody if they’re hit anywhere in the torso or head. It’s unclear which of the eight bullets killed Ms. Rebello, but had this cop stopped firing once the burglar was hit (maybe after a MAXIMUM of three shots), Ms. Rebello would still be enjoying her summer vacation. Budimlic did not “accidentally” fire a gun eight times inside a house at near point-blank range when a hostage was being held right in front of him. He made a conscious decision to continue firing because he enjoys it. Let’s face it; police kill Americans every day and are not punished for it. And many of these executions involve a ridiculous number of bullets: Cleveland Police fired 137 bullets into a car, killing Malissa Williams and Timothy Russell this past December; Sean Bell was killed after NYPD fired 50 bullets at him; Margie Carranza and her 71-year-old mother Emma Hernandez are lucky to be alive after LAPD fired over 100 bullets at their pickup truck when the cops “mistook” the two Latino women for a 6-foot tall, 270 pound “black” man...and the list just goes on. This savage culture among American police, which is encouraged and rewarded by federal and state governments, is the reason Ms. Rebello is dead, despite Nassau County police blaming the intruder, Smith. Henrique Santos, Ms. Rebello’s godfather, told the Journal-News that Budimlic should have either negotiated or got the intruder on the “first shot.” This isn’t unreasonable at all, since Budimlic made $107,016.45 in 2010, according to Newsday, and likely more this year. A street cop making six-figures should be both competent with a firearm and with handling hostage situations. But obviously he’s just another highly-paid government employee living comfortably off taxpayers, while doing nothing for them (except of course killing them). The New York Post says Budimlic is “inconsolable” after killing Ms. Rebello…which would have never happened if he didn’t unnecessarily and recklessly empty almost an entire clip to take down a burglar. Our thoughts are with the Rebello family.